Note: Every woman is different and this is information pooled from many sources and women. Not all information may pertain to you specifically and is not an exact listing for every person or every facility that is providing services to you. While most women stay in the hospital for one to two days after a vaginal delivery, those who deliver by C-section usually stay for three to five days, and occasionally longer. Be sure to pack a bag with enough comfortable clothes for your hospital stay (pack shirts and tops that have zip or buttoned fronts if you plan to try breastfeeding). Look for soft clothes with loose elastic or adjustable waistbands, warm socks, and even a couple of zippered sweatshirts or cardigan sweaters for those cool hospital rooms. Also include toiletries such as toothpaste and toothbrush, lotion, brush, makeup, and soap. After a C-section, chances are you’ll feel exhausted, sore, and emotional. A nice-smelling bath soap, your favorite lip gloss, brand new slippers, or extra special hand cream can provide just the pick-me-up you may need while recovering from your surgery. Though hospital procedures may vary, there are general steps that most will follow when it comes to preoperative procedures. Before your operation day, you’ll probably have lab work, including blood and urine tests, to check for diabetes and other medical issues. You’ll meet with an anesthetist to discuss your options for anesthesia. 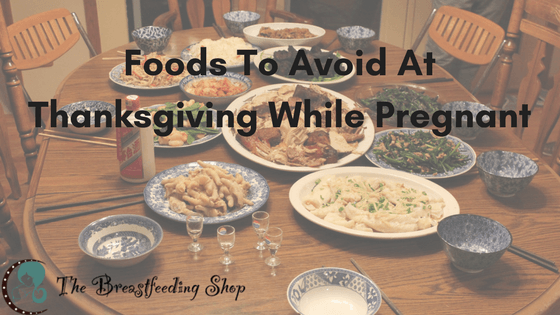 You’ll also be reminded to refrain from eating or drinking for eight to 12 hours before your surgery. Once you’ve arrived at the hospital, you’ll check in and be shown to your room, where you’ll change into a hospital gown. After you’ve undergone a physical assessment (which includes checking vital signs and reviewing your medical history), you’ll be started on an IV. Your abdomen will be shaved down to the pubic hair and you may be administered an enema. A nurse and an anesthetist will visit with you to review your birth plans, and you will sign a number of consent forms. When the time comes, a nurse will bring you and your partner to the birthing room. Your partner may or may not be allowed to sit at your side during your operation (this varies from hospital to hospital). If you are able to have your partner present, he will be given hospital scrubs to wear during your surgery. During the operation, it is likely that your partner will be prohibited from videotaping, although still photos may be allowed. After an anesthetic is administered, you will lie down on an operating table and a catheter will be inserted to drain urine during your C-section and until you can attend to your own bathroom needs. Your doctor or attending nurse will then set up a curtain above your chest to separate you from your surgical team (giving you both some privacy during your operation). Your arms may be secured to keep you from accidentally reaching into the sterile surgical area. If you have chosen regional anesthesia, the method generally preferred by doctors and hospitals, you’ll be awake during the operation. You won’t feel pain, but if you’ve had an epidural, you will probably feel pressure and pulling throughout the procedure. You should be able to talk to your partner and your doctor during the procedure. After giving birth, you’ll be allowed to see your baby before your doctor takes her to be tested, measured, and weighed. Your partner may be able to go with your newborn at this time while your surgical team finishes caring for you. For many new moms, this alone time can be hard; be sure to speak with your doctor or attending nurse to see if you can have another support person visit with you at this time, of if your spouse can return to the surgery room while your doctor closes your incision. Soon, your anesthesia will begin to wear off and you’ll start to feel sensation returning to your toes. Women are usually moved from the surgery room to a recovery room (not yet your hospital room) at this time so a nurse can tend to you as your anesthesia wears off. As the effects of the anesthesia wane, you may begin to start feeling discomfort around your incision. Medication can be administered to manage this pain, so don’t be afraid to ask your nurse for information on pain-relief options. Generally, once you can wiggle your toes, a nurse will allow your spouse to visit with you and may allow you to hold and/or nurse your newborn. Within 24 hours of the delivery, your catheter and IV will be removed and you’ll be helped out of bed so you can walk and move around. This is vital to get your circulation going and decrease your risk of blood clots. Though it will be difficult initially, standing and walking will actually help you to heal more rapidly. Depending on your rate of recovery, your nurse may also allow you to take a shower (with a “chaperone”) once you are able to move around and if your incision is healing properly. You may find yourself hungry once you start moving around again, but the hospital will likely have you on a bland diet with easy-to-digest foods in the beginning of your recovery. As you begin eating solid foods, go slowly and don’t be surprised if you have some gas. Your nurse will likely even ask you if you have passed gas during your stay, a sign that your intestines are functioning well. 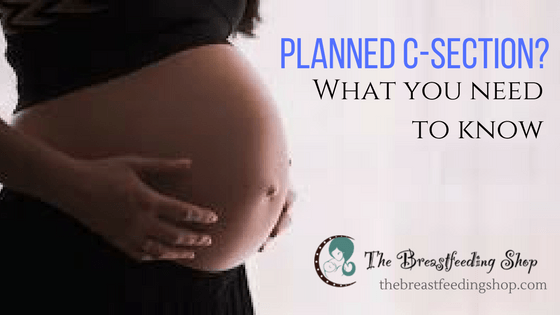 Though planned Cesareans aren’t foolproof, it can be reassuring to know that, for the most part, you have the ability to prepare for one of the most exciting events in your life. Armed with knowledge, many mothers find that delivering via C-section is less stressful than they expected. 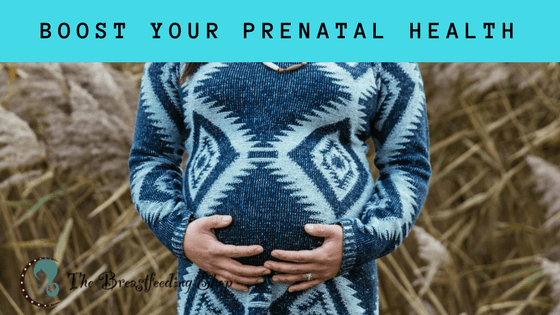 With a good birth plan and open communication between your doctor and your birthing team, you’ll be able to fully enjoy the birth of your child.